Reverse logistics is intrinsically aligned with environmental sustainability. When companies maximize tons per mile, consolidate shipments, reduce returns and optimize product disposition/asset recovery processes, they are simultaneously reducing harmful emissions and energy usage, while increasing profitability and asset utilization. In today’s markets, the total cost of logistics is increasingly defined in terms of carbon impact. As “going green” becomes a standard business practice, consumers are asking for measurements around climate change impacts, energy consumption and emissions. More than ever, companies and their suppliers are required to provide environmental scorecards, quantitative environmental performance data and descriptions of sustainable initiatives. The synergy is obvious; end-to-end reverse logistics/product lifecycle management solutions translate into energy savings and waste reduction, provide economic value and savings and strengthen customer relationships. The handling and disposition of products, components and packaging is a growing concern for many companies. In the European Union, the WEEE (Waste Electrical & Electronic Equipment) and RoHS (Re­striction of Hazardous Substances) restricts the use of hazardous substances in electrical and electronic equipment and provides for their collection, recycling and reuse. Similar laws are under development in the US and other countries. Instead of carting products to landfills, companies are recovering the value of the assets through a variety of other paths, such as returning to stock, donations, secondary market sales and recycling. 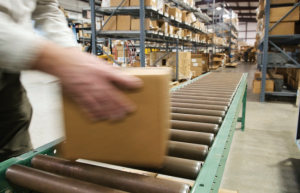 How are you leveraging reverse logistics to meet your company’s sustainability goals? Learn more in our white paper about reverse logistics and sustainability.